The other day a friend of mine shared this story with me. Let’s call her Sarah. Sarah is recently single and in her early 30’s. Last fall she came to our church, received the Lord, and we have been getting to know each other and studying the Word together. I’ve met her sister and niece, but knew she had a very strained relationship with her parents. I didn’t know the reason, but they basically wanted no contact, and Sarah believed she had done nothing wrong to cause such a break. Her dad had cut her off so far that he threatened to divorce her mother if she had any contact with her daughter. To make this all worse, Sarah works at the same small company as her dad. As Sarah grew in her relationship with God, she became more and more aware of the Holy Spirit’s promptings. When Valentine’s Day rolled around, she decided to make cupcakes for her co-workers despite a complete dislike for that particular holiday. When she got to work and began passing out the cupcakes, she sensed that she was supposed to go give one to her dad. She found his cubicle empty, so left a cupcake on the desk. As she walked back to her office, she met him in the hallway. “I left a cupcake on your desk for you,” she said in passing. “Oh, okay. Thanks.” These were the most words they had spoken to each other in years. A few minutes later Sarah’s dad stepped into her office. With tears streaming down his face, he wrapped her in a hug and thanked her again for the cupcake. Then he asked her to join the family for Valentine’s Day dinner that night. Sarah agreed, but asked if they could make it a surprise for her mother. That night, Sarah sat at the dinner table between her mother and her father for the first time in three years. A simple act of obedience and a cupcake had been the olive branch they needed to begin the mending of their family relationship. There are many events that can break up a family. Sometimes they are major breaches of trust. Other times it can be as simple as a misunderstanding. But whatever the reason for the broken relationship, there are some steps we can take toward mending that break. 1. Accept Your Responsibility: You may or may not be the one in the wrong. But we all must analyze every broken relationship and accept our part in it – whether we know what that is or not. Your part may simply be the other person’s perception of something you did or did not do. However, we must all remember that it takes two to have a relationship. 3. Realize that the Relationship May Be Different: Not all relationships can return to their former state. People may have changed. Boundaries may need to be set. And in all honesty, we must acknowledge that there are some relationships that just can’t be redeemed. That does happen. 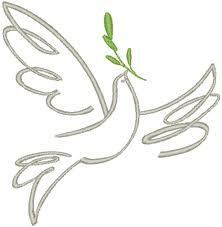 But family is second only to our relationship with God so every effort should be made to restore peace. It may be different than before, but we can have relationship in a new kind of normal. Sarah and her dad are still trying to figure out their new normal, but they have begun by taking the first steps.